Tools and spare parts may be useful. At most events you have to carry all your own water. 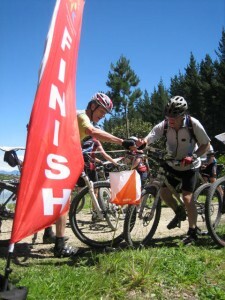 In New Zealand MTBO, the clipcard must be attached to your bike, and it is usually a good idea to use some elastic for this purpose. If ECARDs are being used it is a good idea to acquire retractable “zingers” that some people use to attach their security card. This way your ECARD can be (a) attached to the bike and (b) easily reach the control. Some people even manage to punch their ECARD at a control without stopping! A handle bar mounted map holder that is able to rotate is highly desirable. Commercially produced map holders are available, but many riders use a home-made model. To purchase a map board check out www.mapsport.co.nz. See instructions below for making a home-made map board. A compass is usually helpful, but GPS use is not allowed. You may be able to slide a clip-on compass onto the side of your map board depending what sort it is. However if you use magnets (see below) this can interfere with the compass. Another good option is to securely attach a compass to the top tube of your bike with foam underneath to absorb vibrations and ensure it is level. Other people use a compass clipped on to their bike gloves or mounted on their wrist. A standard bike odometer can be useful to track distances.. Some people insert a thin metallic sheet on top of their map board and use coloured small powerful coloured magnets to keep track of where they are on their course. 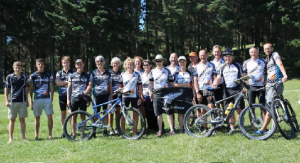 Many, but not all, orienteering clubs will run MTB orienteering events. 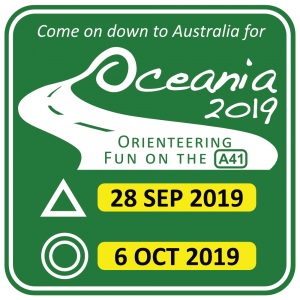 You can search on MTBO events in the MTBO – Events Calendar section of this website for MTBO events on in your area or contact your local orienteering club. 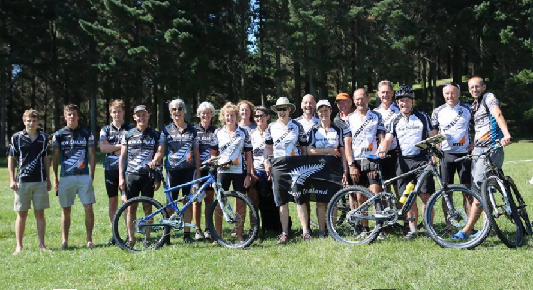 See the following New Zealand MTBO sample map with legend – NZ MTBO Legend v4. A MTBO map is marked similarly to a foot orienteering map with a series of red circles, with the start being a triangle and the finish being two concentric circles. Generally you have to visit the controls in numerical order, unless it is a score or rogaine event. 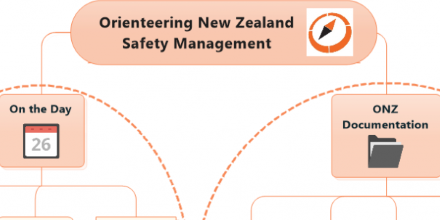 Unlike foot orienteering, there are generally no control descriptions. If you navigate to the centre of the circle you will see the control. Generally you must travel only on roads or tracks marked on the map. Sometimes specific event tracks will be marked using tape and indistinct junctions may be marked using tape. Ideally a course will test navigation and riding ability. A big part of the navigation is deciding the best route from two or more possibilities. The shortest way isn’t always the quickest, you should compare the number of contours you will have to climb and track ride-ability . On a special MTBO map the roads and tracks are shown with two different widths and four different speed values. Sealed roads: Shown as two black lines with brown between. Easy Riding: Gravel roads are shown as a thick black line. A maintained single track (under 1.5m) is a thin black line. Note that “easy” refers to the surface only – you will still have to interpret the contours to get an idea of the slope. Slower Riding: The next category is unmaintained tracks, where riding is slowed a bit, particularly when the ground is wet. They are shown using either the thick or the thin black line, but with long dashes. It would be rare for a skilled rider to have to get off because of the track surface. These are well worth choosing if they save you a longer way round or a climb. Very Slow Riding: The next category is unmaintained tracks, where riding is a lot slower. The average rider can still ride if there is no climbing involved, but you are “picking your way” over ruts and rocks, or pushing your way through vegetation. It may not be worth riding if it is uphill. They are shown using either the thick or the thin black line, but with short dashes. These are only worth choosing if they save you a lot of distance/climb or sometimes (for good riders) if the direction is downhill. Impossible to Ride: The last category is for tracks with obstacles which make riding virtually impossible. They are shown using either the thick or the thin dotted black line. Even skilled riders would need to get off frequently, even on flat or downhill roads and tracks. Courses will not generally have much of this because it is not fun to ride, but you may have to trade off a short section of “dotty” against the long way round. Don’t attempt a long stretch unless there is no alternative! Note – Old Maps: Up to recently there were only THREE speeds. There are still some maps with only one type of dashed line, you’ll have to expect a wide speed range for this. Check the legend. Sometimes when there are not many tracks on the area, there may be “virtual tracks” to give competitors more choices of route. On the map you will see a green version of the track symbol. Physically on the ground you will see nothing. These special tracks are usually in open grassy areas, and usually follow some feature, e.g. a fence. Sometimes they go straight across an open area between two bits of forest, where the absence of a visible track would otherwise prevent you riding. This is a NZ invention and may not apply in other countries. To sum up, a green line means “allowable route, no visible track”. Forest is usually shown as light green. Open land is yellow (think of a hay paddock). Green dots on yellow – somewhere in between, i.e. scattered or very young trees. Water is blue. Contours are brown. There are special colours where you are allowed off-track. (Note this is a new rule and it may take a while for some maps to catch up – consult the legend.) WHITE is forest that you may use – but speed is fairly slow at 25-50%. BRIGHT YELLOW (as opposed to pale yellow) is open land that you may use – also 25-50%. The purpose of these is to make it clear where you can go in areas where tracks are indistinct, or two tracks almost touch. The map shows things you can see from the track. Examples might be power pylons, water tanks, cliffs. Special attention is paid to the shape of junctions, and whether they are distinct or not. (A small gap on the map indicates an indistinct junction.) A bridge is shown by the road or track crossing the blue line, otherwise there is a gap. Tracks you are not allowed to use have purple crosses or a purple zigzag on them. Whole areas you’re not allowed to use have purple shading on them. You must comply with this otherwise you will be disqualified. A purple bar across a track is used for an obstacle that will force you to dismount – e.g. a gate or fallen tree. It is perfectly allowable to go over an obstacle. This merely something you might take into account when deciding which route to take.